The foundation repair cost in Eagle Rock, CA is only a fraction of the potential cost of damages if your house is left unsecured. Many of the issues that homeowners associate with failing foundations; such as re-appearing cracks in the walls or doors and/or windows that stick are not always structural red flags. Many times these minor cracks in the foundation appear as a result of sonic booms, high wind loads on the roof or even a moderate earthquake. Repairing a crack that seems to be growing continuously and has reach more than ¼” wide are indications that you should have Seismic Safety inspect your home Eagle Rock for these casual factors. 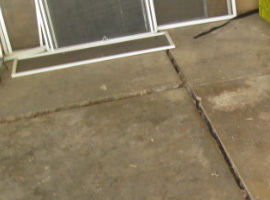 Call us at 626-791-2300 for more information about foundation inspections in Eagle Rock, CA. The wood that rests directly on the foundation is called the mud sill. 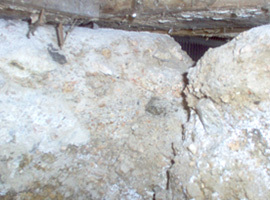 Until the 1940s, home builders often did not bolt the mud sill to the foundation. Our foundation inspectors in Eagle Rock, CA will check and advise you if there is insect damage or dry rot in the wood, and replace or repair any faulty wood as necessary. If your house is built on a hill or even a slight grade, you probably have some step-like offsets in your foundation. 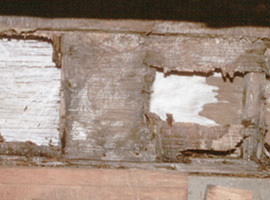 On every step, the mud sill must be bolted down at each end and along its length.